"THE BEST OF THE BEST CARE IN SURGURICAL PROCEDURE. THE OPERATION WAS SUCESSFUL, HEALING BEAUTIFULLY. ONE STEP AT A TIME. TRULY A SPIRITUAL AND AMAZING EXPERIENCE THAT THIS SURGERY HAD DONE FOR ME. EVERYDAY A GIFT AND NOW IMPORTANCE OF EATING HEALTHY AND BECOMING MORE PHYSICALLY FIT EVEN THOUGHT,. I WAS . I WAS BORN WITH A MITRAL VALVE PROLAPSE. 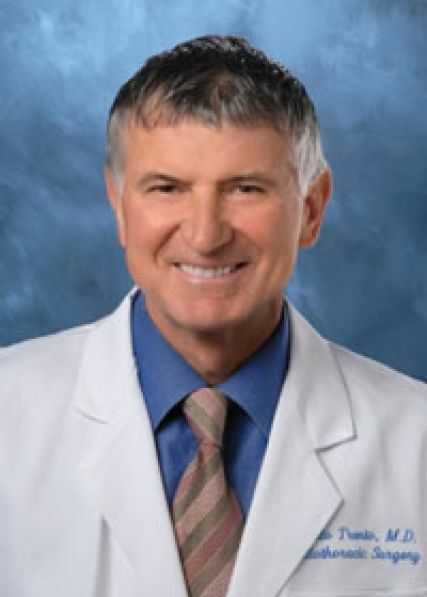 THANK YOU TO THE KING OF HEARTS, DR. TIRONE DAVID"
"Excellent ... Dr. David lived up to his reputation as A+ in all respects." "Surpassed what I (we) would have expected. Best Surgeon!!! Visiting me in my ICU bed even on Saturday. Then catching up with me "running around" the floors from the third post-op day on, and finally let me leave on my 5th post-surgery day for home. Very minor pain treatable with mild analgesics followed." "Dr. David was amazing. He was very thorough, helpful and friendly. I was very pleased with the result." "Excellent experience - on the medical and human side. Outstanding specialist and person!" "Dr. David is a very kind and caring man. Outstanding job, would recommend him to anyone in the world, simply because he is the best in the world and I am very lucky to have had him." "I had a good experience and I am very happy with my results. I also wanted to thank Adam Pick for his book it really helped me prepare for my surgery. " "Dr. David was absolutely awesome! So professional, so skilled and fantastic with my family!" "From our first exchange over email through our last consultation, my experience with Dr. David and his entire team at Toronto General was excellent. He treated us with respect and attention, and his team helped us through a very scary and difficult moment with patience and kindness. The results Dr David achieved were fantastic. We are so grateful for the talent and humanity of Dr. David and his whole team." "Dr. David is a saint. Kind, caring and trustworthy. Outstanding results." "Exemplary. I was delighted with the treatment and the results." "The whole experience was extremely positive. I was out of the hospital three days after my surgery and I received regular visits from Dr. David while in hospital. Dr. David is one of the best heart surgeons in the world!" "Factual, realistic, extremely pleased. Follow-up with cardiologist over the last 3 years has repeatedly stated "valve working like new, working like a charm...Dr. David does nice work" -- EXTREMELY pleased." "Absolutely the best team that I could imagine. Dr. David doesn't really talk much, until the after the surgery, but exudes the utmost confidence. After surgery, he is very talkative. Since I am a singer, the anesthesiologist came to visit me 3 days after, to see how my vocal cords were doing. I owe my life to these people. " "Dr. David was a great surgeon, he is always open to answering any questions and willing to explain situations, I did have excessive bleeding during my surgery and he kept my family up to date and informed of what was going on. He is the king of hearts!"